Target is making all the right moves! 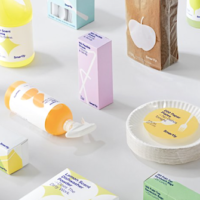 You’ll be happy to hear that Target will be launching Smartly, a brand new affordable line of household and personal care products. This brand includes more than 70 everyday items including all-purpose cleaner, body lotion, hand soap, paper plates, razors, toilet paper, and much more! Best of all, most the items are priced under $2! These products reportedly cost 70% less than similar products from national brands. Shop Smartly products starting October 14th at Target stores and online. So exciting!